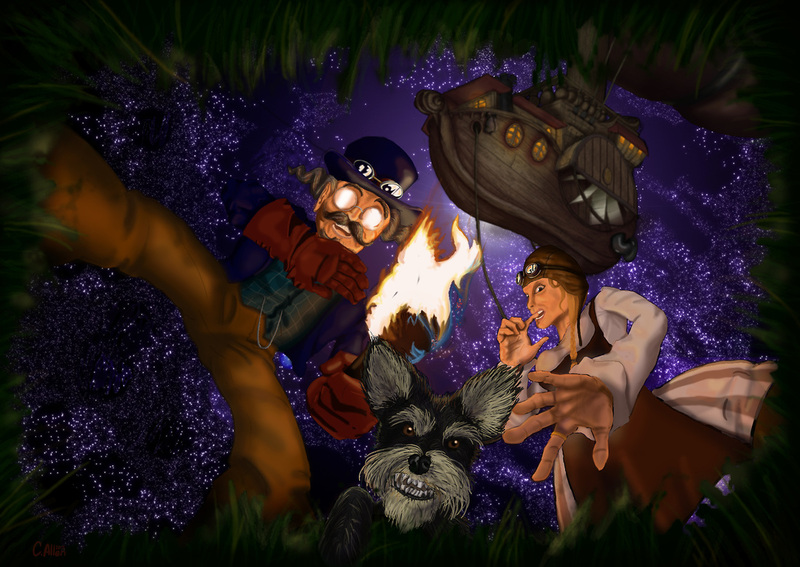 These three steampunk adventurers have disembarked from their waiting airship, and have found what they were looking for... but what is it? See how this piece progressed, here. I wanted to draw something a bit steampunk and with an airship, and something with a bit of untold story to it. Who are these people? What have they found? Was it what they expected? Is it bad? Drawn and coloured by hand, digitally with a drawing tablet in Photoshop, this picture was one I started years ago, liking the idea of having a picture I was in no hurry to complete. As such, when new projects came up, this always got pushed to the back. I finally completed it on Tuesday 23rd of June, 2015.